Have you ever wished to book your dive trip and choose a perfect dive destination, where you would see all the big fish you could possible imagine? If you have only wished and never made that wish come true, that probably means you have never been at Big Fish Diving in Nusa Lembongan. Perfectly tucked in tropical island nearby Bali, Big Fish Diving is a PADI Five Stars Dive Resort. Awesome place to stay, do yoga and scuba dive. Specially good place for scuba divers keen to see some big fish such as mola, Manta rays or sharks. Or all of it in a single day of diving! Nusa Lembongan, Nusa Ceningan and Nusa Penida are within Marine Protected Area and heaven for fish and scuba divers. 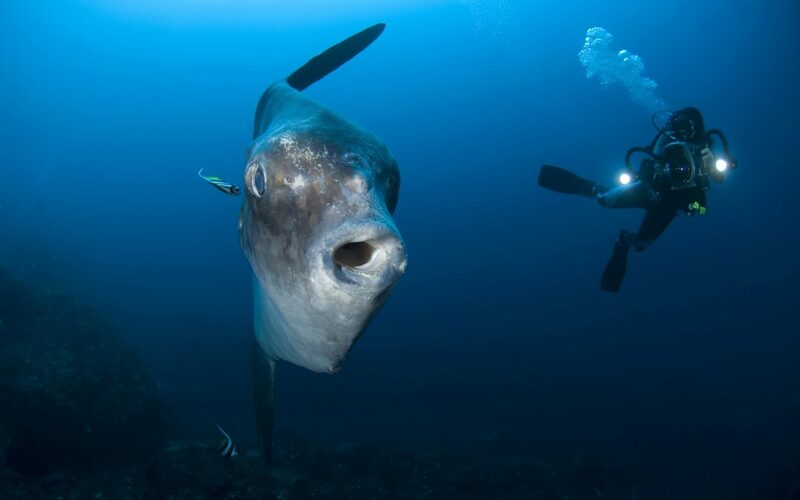 One of the very rare spots where scuba divers can glide beside mola while in cleaning station, or bubble underneath the magnificent Manta rays and tickle their bellies. Check out this video and witness with your own eyes one day of diving with really Big Fish Diving. Read more on mola and Manta rays by visiting our page dedicated to this magnificent creatures. So what are you waiting for? Book today your scuba diving trip now with PADI Five Star Dive Resort at the best diving destination.